Acute pancreatitis continues to cause significant morbidity and mortality despite dramatic advances in the understanding of its pathophysiology and its critical care management. Some studies suggest a high rate of undiagnosed pancreatitis, with approximately 40% of acute cases recognized only at autopsy. Thus, it is imperative for primary and emergency care physicians to make the diagnosis of pancreatitis within the first 48 hours of admission (AGA, 2007). In severe acute pancreatitis, parenchymal and fat necrosis ensues, as well as profound multisystem organ failure, infection, and life-threatening hemodynamic instability. The causes of acute pancreatitis are diverse and demonstrate changing trends over time and variation by geography. Gallstones, biliary sludge, and microlithiasis are recognized as the proximate cause in more than half of reported cases. Ethyl alcohol ingestion is the second most common reported cause of acute pancreatitis, about 30% of cases, although it is unclear whether alcohol is a toxin or an exacerbating factor in individuals who have compromised pancreatic function. The remaining causes of acute pancreatitis account for less than 15% of total cases, including hypertriglyceridemia, trauma, medications, ERCP, neoplasms, perforated PUD, viral infection, and idiopathic causes. Serum markers of acute pancreatitis have high sensitivity and specificity but no role in predicting the severity or course of disease. The most common enzymes assayed, amylase and lipase, are released at approximately the same time after the initial insult to the pancreas but are cleared from the bloodstream at different rates. Therefore, relying on total serum amylase alone to make an accurate diagnosis of acute pancreatitis is error-prone, because it is cleared almost totally from the blood within 48 to 72 hours. The sensitivity of pancreatic amylase for the diagnosis of acute pancreatitis decreases to less than 30% between the second and fourth day after onset of the acute episode. By contrast, an elevated serum lipase level can be detected up to 14 days after the acute event and has sensitivity greater than 90% for acute pancreatitis (Orbuch, 2004). Early prognostic factors that can be measured and indicate severity of disease include the Acute Physiology and Chronic Health Evaluation II (APACHE-II) score. The overall success at prediction of mortality from acute pancreatitis at hospital admission remains at 40%, and even at 48 hours it is no better than 80% when all diagnostic strategies of morbidity and mortality prediction are compared (Papachristou, 2004). The most important factor in the management of patients with acute pancreatitis is maintaining appropriate intravascular volume status (AGA, 2007). Many predictors of pancreatitis severity are directly related to "third spacing" of fluids and include hemoconcentration and rising creatinine level. The hematocrit may be high as a result of hypovolemia secondary to third spacing of fluids. Volume resuscitation during the first 24 hours is important because this may minimize or even prevent pancreatic necrosis (Mayerle et al., 2004). If the bilirubin, liver transaminases, and ALP increase, a CBD stone may exist (Fig. 38-16). Similar laboratory abnormalities with a less acute presentation may occur in patients with chronic pancreatitis when bile duct stricture occurs. This possibility should be further explored with abdominal US and possibly ERCP, which can be both diagnostic and therapeutic. ERCP is especially useful in the setting of biliary pancreatitis with associated cholangitis or severe pancreatitis within 72 hours of presentation (AGA, 2007). Leukocytosis (>20,000 WBCs/mL) suggests a more severe disease (Ranson et al., 1974). Since respiratory distress syndrome may ensue, chest radiographs and arterial blood gases should be considered. In severe cases, renal failure may appear despite adequate fluid intake, and thus urine output should be closely monitored. 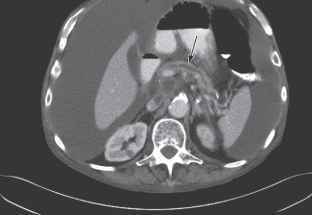 acute pancreatitis and provides the highest level of sensitivity and specificity of current imaging technologies (Fig. 38-17) (Papachristou and Whitcomb, 2004). Sensitivities using ultrasound for the diagnosis of acute pancreatitis range between 62% and 95% and probably reflect the failure to visualize the organ in as many as 30% of cases. When the pancreas is visualized in the setting of acute disease, tissue abnormalities are detected in 90% of those studied. The milder the disease presentation, the less likely it is that abnormalities will manifest that are detectable on CT examination. 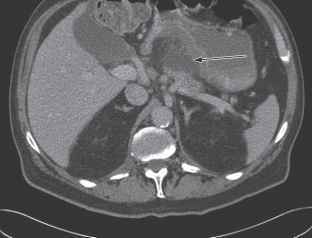 Magnetic resonance imaging (MRI) and MRCP have specific yet limited roles in diagnosing acute pancreatitis. 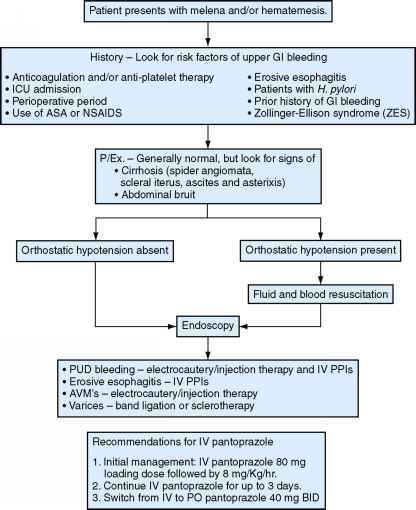 Medical therapy of acute pancreatitis is primarily supportive, with the major objective being hemodynamic stabilization. Nutritional support should be provided in those patients likely to remain "nothing by mouth" (NPO) for more than 7 days. Nasojejunal tube feeding, using an elemental or semielemental formula, is preferred over TPN (AGA, 2007). 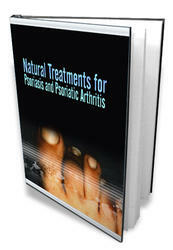 Pain management in the hospital setting is best achieved using morphine derivatives. Infrequently, patient-controlled anesthesia may be used for severe abdominal pain, and alternative diagnoses and complications should be considered.